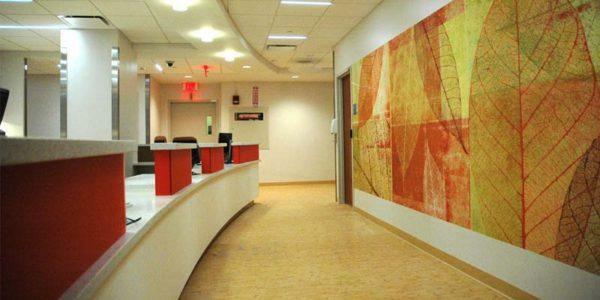 The new Primary Care Center at Nassau University Medical Center increases access to medical care for community members and provides the opportunity to reduce Emergency Department visits, a goal of DSRIP. St. John's Episcopal Hospital, an NQP partner, is the recipient of a three-year grant from Thrive NYC that supports embedding new social work graduates into its primary care practices. The initiative helps NQP meet the goals of DSRIP project 3.a.i—Integration of Primary Care and Behavioral Health Services. NQP and the Rockaway Waterfront Alliance (RWA) have announced a partnership to improve health care delivery and outcomes for residents of the Rockaways—a community identified by NQP through data as medically underserved. NQP Video: "Introduction to Value-Based Payments"
Per the New York State Department of Health, 80 to 90 percent of managed care payments to providers will be value-based payments (VBP) by 2020. NQP has created an "Introduction to Value-Based Payment" educational video to help partners better prepare for the transition from volume-based to value-based payment models. To access the video, click here and either "Register for this course" or "Start course." Please note that you need an HWAPPS account to access the video. If you do not have an account, you will have the opportunity to create one after you click on "Register for this course." The New York State Department of Health has released the 2018 Value-Based Payment (VBP) Reporting Requirements Technical Specifications Manual. The purpose of this document is to make stakeholders aware of the quality measure reporting requirements for Medicaid Managed Care Organizations (MCOs) participating in the state's Medicaid VBP program. The manual is available on the VBP Resource Library under the VBP Quality Measures tab. Questions can be sent to the Department of Health at vbp@health.ny.gov. The New York State DOH recently released a new DSRIP Program whiteboard video, "What CBOs Need to Know to Be Successful in VBP." In this video, NYS Medicaid Director Jason Helgerson describes the top five things that community-based organizations (CBOs) need to know to be successful in the move to value-based payment (VBP). He also discusses how CBOs can get involved in the transition to VBP. Click here to view the video .